You’ve just finished building a large php based site, and the client wants some changes made. 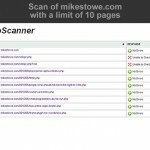 So sure enough, you make the changes and push them live, only to get a call from the client about some pages not working. 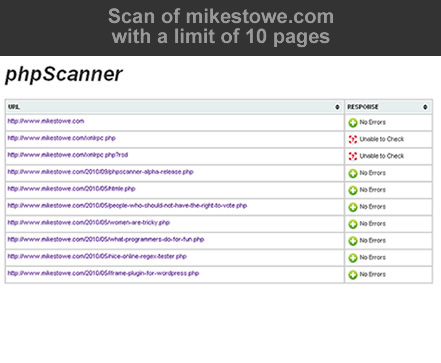 Sure enough, that little change you made messed up some obscure, buried page which is now throwing errors or worse. 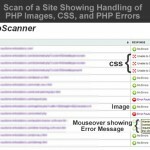 That’s where phpScanner comes in. 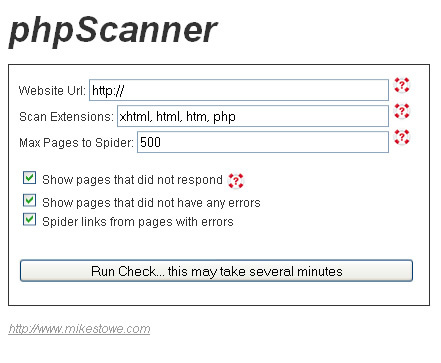 With just the click of a mouse (ok, you have to enter some basic information, like the url too), phpScanner will scan the full site (restricted to that domain) checking to see if anything “suspicious” comes up. 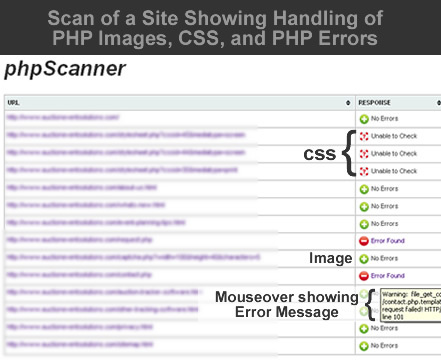 In the event that it throws a visible text error, phpScanner will even tell you what error it is throwing. 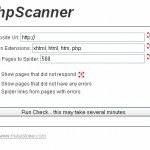 phpScanner can quickly be installed on any server running PHP 5.